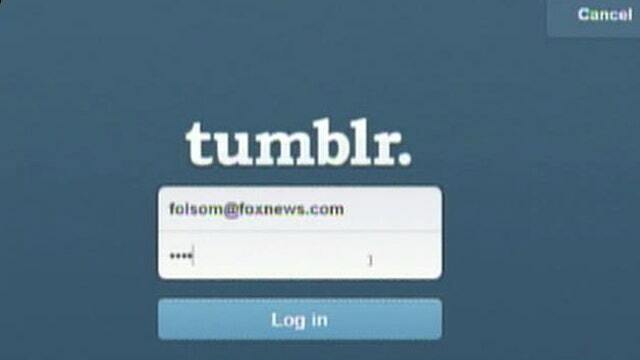 FOXNews.com’s Jeremy Kaplan on Yahoo’s decision to purchase the blogging platform. Yahoo (NASDAQ:YHOO) inked a deal to buy social blogging site Tumblr for $1.1 billion on Monday in what marks one of the largest social media deals in history, even surpassing the price tag on Facebook’s (NASDAQ:FB) Instagram buy last year. Marissa Mayer’s largest-ever transaction at the helm of Yahoo was met with jest by the two parties, an attempt to meet head-on criticism and claims that Yahoo will drive Tumblr into the ground the way it has with its acquisitions of the past. Tumblr will not have Yahoo branding on its site. While Mayer notes there will be obvious systems and other integration on the back end, she said the combination will be virtually invisible to users. “We really want Yahoo to be Yahoo and Tumblr to be Tumblr,” she said on a call with analysts. The transaction, to be paid substantially in cash, is expected to close in the second half of this year, subject to customary closing conditions. While Yahoo would not provide additional details on the non-cash portion of the transaction, Yahoo CFO Ken Goldman did confirm that it is "directly tied to David Karp." Under the watch of Mayer, the Silicon Valley staple that has for years struggled to improve quarterly results and appease investors has revamped its website to make it more user friendly and enforce a start-up mentality shaped from Mayer’s previous tenure as an executive of Google (NASDSAQ:GOOG). Shares of Yahoo over the last 12 months have soared 73%. Tumblr further catapults Yahoo into the social media realm, instantly adding millions of unique monthly visitors to its portfolio and lifting it to previously uncharted levels of mobile engagement. Tumblr has more than 300 million monthly unique visitors and 120,000 signups every day with activity reaching 900 posts per second. The blog site also boasts that more than half of its users sign in through their mobile devices each day, a figure that could have ad executives salivating as Yahoo looks to generate more revenue from the blog site that has traditionally shied away from in-your-face digital ads. "On many levels, Tumblr and Yahoo! couldn&apos;t be more different, but, at the same time, they couldn&apos;t be more complementary,” Mayer said in a statement. CEO of Tumblr rival WordPress, Matt Mullenweg, claimed late Sunday that the number of subscribers fleeing to WordPress from Tumblr skyrocketed amid the Yahoo talks, with imports jumping to 72,000 in one hour when the typical period would generate just 400 to 600 imports. Tumblr will maintain its New York City headquarters. Yahoo, too, said it had no plans to layoff employees. In fact, the Sunnyvale, Calif.-based company said it will likely hire a slew of new engineers as it looks to work through the integration. Mayer said Yahoo hopes to utilize Tumblr&apos;s Dashboard to create personalized ads similar to Yahoo&apos;s Stream Ads launched in May and will work with individual bloggers who also want ads on their site. On Tumblr, there are a number of different places where Yahoo thinks it can "monetize in ways that are meaningful and can add to the user experience,” she said. Yahoo, which has lost search ground to rival Google over the years, also believes the massive volume associated with Tumblr will help revitalize its search business. The last time Yahoo inked a deal of this scale was in 2003, when it bought search company Overture for $1.63 billion, which helped put Yahoo in the same playing field as Google and Microsoft (NASDSAQ:MSFT) in terms of search advertising. Shares of Yahoo initially slumped 1.3% in premarket following the announcement, but have since rebounded and were up recently close to 1% to $26.73. Among the criticism has been that Yahoo won’t be able to make much use of Tumblr, which has struggled to make money and generate revenue through interactive ads that differ from the traditional click advertisements. Among Yahoo’s previous acquisitions that turned sour were photo-sharing site Flickr. On a call with analysts Monday morning, Mayer said there are "obvious synergies" among Flickr and Tumblr and would look into possibly integrating them in the future. Yahoo&apos;s CFO Goldman, however, predicts the acquisition will enhance revenue in 2014 and beyond amid a "tremendous opportunity" to "drive engagement" among its user base through targeted ads and further chances to grow its core business. The company, which had a revolving suite on its C-Suite for years until Mayer took the reins in July 2012, does not expect the Tumblr deal to have a "significant impact" on earnings in the current year. Yahoo said it was too early to provide an update to its current-quarter and full-year outlook. The acquisition comes as Yahoo scoured to market for potential acquisitions amid an influx in cash Mayer hoped would help fuel the tech giant’s turnaround. Yahoo earlier this year was reportedly in talks with video sharing site DailyMotion and Hulu. On Monday&apos;s call, Goldman said Yahoo had $6.2 billion in cash at the end of the first quarter and continues to have "ample cash" to continue funding its current buyback program. In the first quarter, Yahoo repurchased 38 million shares for $775 million.